Send us your news stories! Our recent National Creative Learning Network event focused on the curriculum. We wanted to know what young people think of the totality of the education offer they experience and how it might be improved. Learner voice – in order that professional dialogue was informed by children and young people’s experiences of education. Creativity – it was essential that we adopted creative approaches and delegates were immersed in creative thinking from the outset. This month CLN Coordinators met together at Codebase in Stirling for a development day focused on sharing practice. Colleagues from Edinburgh, West Lothian, Angus and Stirling talked about programmes of work supported by the Creative Learning Fund. The four very different approaches shared prompted rich dialogue and enabled us to explore the importance of long-term strategy; embedding creative teaching and learning; using creativity to challenge classroom ‘norms’ and a design thinking approach to help practitioners visualise the creative process. Enterprising Educator – DEADLINE WEDNESDAY! the University of the Highlands and Islands to launch the ‘Enterprising Educator’: a fully funded and accredited Masters-level module for Scottish Practitioners. You can find all the course information here. The application deadline is noon on 28th March. Author Angie Lake explains why STEM and arts subjects are both important in the world – you might find this a useful article to share with young people. Head of Gray’s School of Art in Aberdeen, Libby Curtis, discusses the importance of creativity and culture within society. Finland, Switzerland and New Zealand lead the way at teaching skills for the future. Read more about the provision of future skills education here. How Do We Assess Creativity Skills? This two minute animation explores how. This quick guide offers helpful information for educational practitioners to learn more about Foundation Apprenticeships, the benefits they offer pupils and how schools in Scotland are delivering them. Children, now more than ever, need to understand how to evaluate changing information, respond creatively when problems arise, and be prepared for the jobs and opportunities of the future. Parent Toolkit offers some suggestions to help build learners’ cognitive flexibility. Do you have an interesting piece of practice to share? Please get in touch! Attend an afternoon of workshops to gain top composing tips from experts, before submitting a short work for an instrumental trio, quartet or quintet. Whether you’ve been composing for a long time or you are just starting and are interested in learning a little more about compositional techniques, book your place now! This workshop is open to all abilities. To sign up for a free place at the workshop afternoon please visit rsno.org.uk/engage/notes-from-scotland/ to download the booking form. Workshop bookings are now open! Competition entries will be shortlisted and five finalists will have their piece played musicians from the RSNO in a live final on Saturday 22nd June 2018. 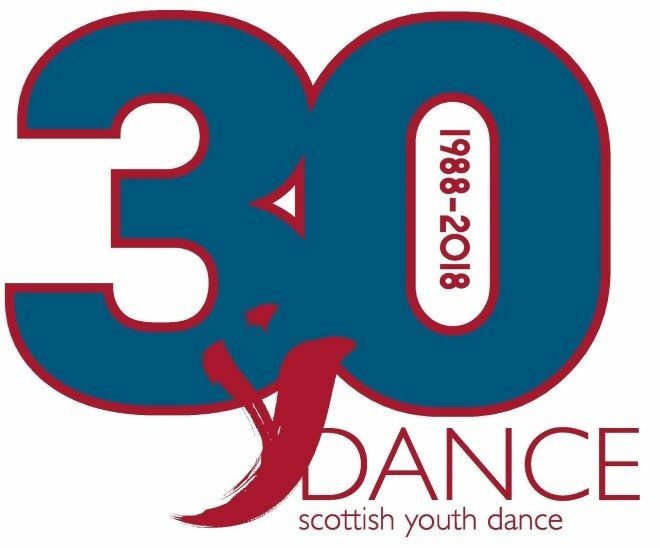 Competition entries open 1st May and close 31st May 2019 at 5pm. You are receiving this email as you are currently on our Learning and Engagement mailing list for updates about RSNO activities. If you do not wish to receive these types of emails in the future simply reply to this message to unsubscribe. The Scottish Education Awards recognise early learning and childcare settings and schools that have developed a vibrant and progressive culture and climate of continuous innovation. There are 15 award categories in total. From 2013 onwards the Awards featured a Creative Learning Award category with notable shortlisted winners from primary, early learning and childcare, and secondary schools. Last year we took the awards a step further by embedding creative teaching, creative learning, and creative improvement in all of the award categories, and with a focus on creativity skills within a new Employability and Creativity Skills across Learning category. You may wish to submit a nomination or encourage nominations from your authority/area for this award which recognises establishments that promote the development of employability and creativity skills for pupils and staff in partnership with the wider school community across all contexts and settings where young people are learning. Please read the guidance notes incorporated into this page which explain what information should be provided. One Thursday night every month, we invite young people aged 16 – 25 to use our Glasgow venue for free, to be creative in their own way. It should be related to the performing arts, so you can rehearse, improvise, experiment across art forms – whatever you choose… just come along! Each year at its annual event, the National Creative Learning Network takes a current priority in education and works with local authority colleagues to explore it through the lens of creativity. In previous years, we have focused on attainment; skills development, and equity. This year, our attention turned to the curriculum – ‘curriculum’ meaning the totality of our education offer to young people. We wanted to know what they think of it and to talk about how it might be improved. Creativity – it was essential that we adopted creative approaches and delegates were immersed in creative thinking from the outset. This meant not planning the content in advance, rather, having a framework within which conversation, ideas and reflections could flow, the content being generated through the power of the relationships and dialogue between the people in the room. 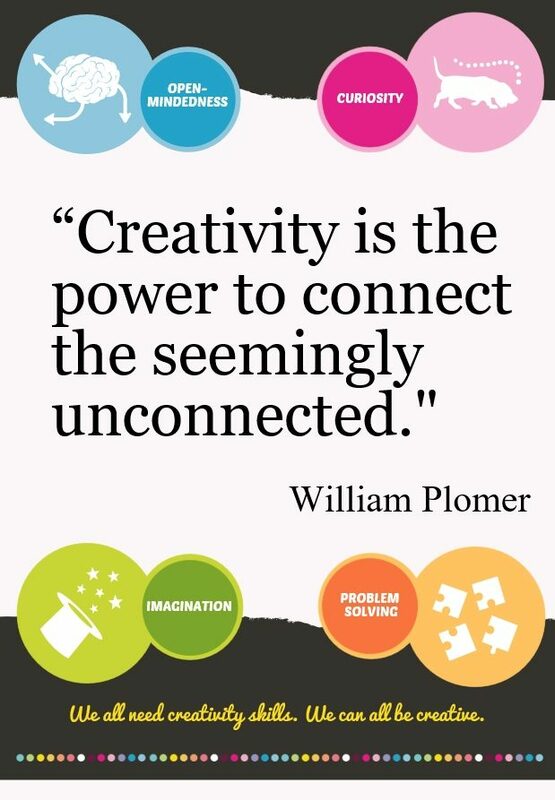 increase understanding of creativity and the role Creative Learning Networks can play in effective partnership working. Key to the success of the day, was the involvement of children and young people. 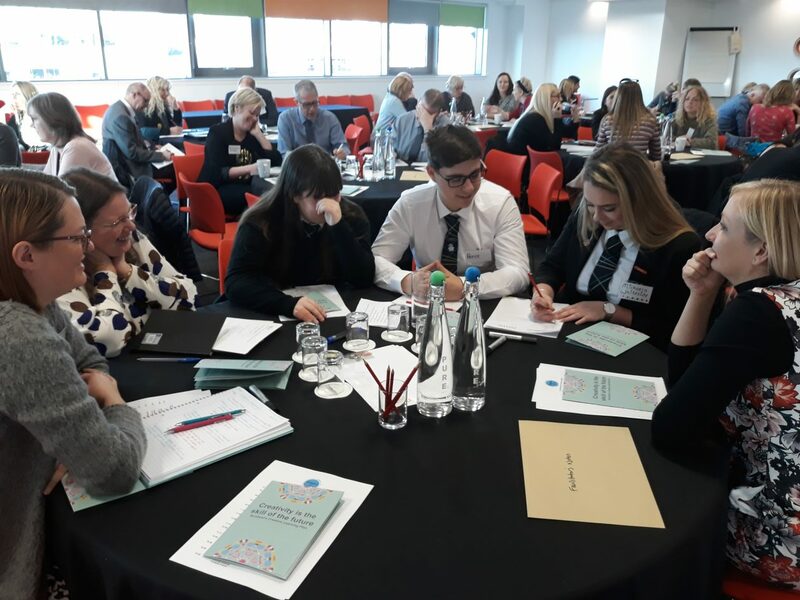 Education Scotland’s Creativity Team devised a workshop that took place in Friockheim and Arkleston primary schools and Calderglen secondary school prior to the event. As expert ‘users’ of the education system, learners were asked to draw on the best and worst of their experiences, and use blue sky thinking to imagine their ideals, and to generate ‘Imagine if….’ statements to share their views and ideas. Creative Learning Plan Chair, Christine Pollock, invited fifteen young people representing the three schools to take to the stage. Delegates heard from pupils about their very positive experiences of undertaking a Civil Engineering Foundation Apprenticeship, which means they spend a third of their time in school, a third in college and a third with an employer. Being able to make clear links between all three was motivating for them and they spoke with confidence and purpose. Imagine if the school was on a cruise and you learnt going to every country in the world and experiencing the culture. Imagine if every day felt the same as when I got selected for the soccer sevens. Imagine if school didn’t put massive pressure on exams. Imagine if it was OK to fail. Imagine if instead of schools we learned through experiencing new things – through using creativity to work things out on our own. Imagine if school was about skills, experiences, opportunities for everyone regardless of talent or ability. Each pupil reaches their own personal targets. Imagine if we could always feel the buzz of inclusion like school shows and fundraising events. Imagine if there were new ways to meet new people every day and to be able to develop with them. Delegates reflected on and discussed their responses to the young people’s statements, and had the opportunity to ask further questions of the learners who joined table discussions as equals. Facilitated by a CLN coordinator (local authority creative learning lead), each group was invited to identify a key theme they would like to put forward for the focus of deeper discussion in the afternoon. Delegates self-organised into themed workshops groups, each of which was led by a facilitator who used creative tools and techniques, and drew on the views of the young people, to support exploration of their specific theme. They took the opportunity to thank everyone, and to say how surprised they had been by how open and receptive everyone was – they really felt listened to. They were surprised more young people from other schools were not there and suggested we have just as many young people as adults – a challenge for future events. In order to encourage ongoing engagement following this event, we invited one of the young people to issue the call for feedback, and delegates were asked to share what they promised to do in the next week, and in the next six months. Our commitment is to share actions resulting from these actions via Twitter so that the young people can see what has resulted from their contributions. Take a fresh look at the teaching approaches I use – are they enabling the best possible learning experiences? Implement across my teaching responsibilities a range of creative teaching and learning approaches and gather feedback/voice from students. Gather and evaluate pupils’ voice in preparation for School Improvement Plan 2019/20 being about curriculum improvement – involving all stakeholders. Raise the profile of creativity in my local authority in particular at senior leadership level. Organisation of a conference with theme of creative leadership. The buzz, enthusiasm and engagement in the room throughout the event. The use of approaches and methodologies that were themselves creative. Join us for our 5th Annual Technical Theatre Symposium where we bring together our Scottish Further and Higher Education Network Institutions and Scottish theatre industry professionals to discuss a range of technical theatre and design topics, including skills training and career pathways. 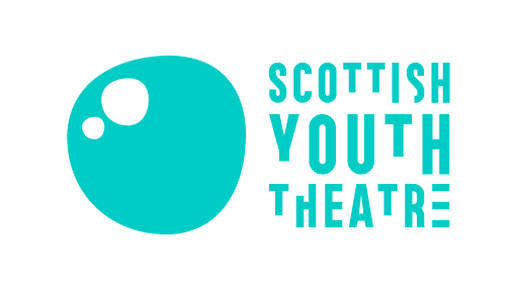 This year, we are delighted to be working in partnership with the National Theatre of Scotland and the Royal Conservatoire of Scotland. The morning includes a complimentary breakfast and a choice of Professional Development Workshops at the National Theatre of Scotland production base, Rockvilla, including Hair, Make Up & Special FX with Freelance Artist Michelle Lyons, QLab for AV Design with Freelance Video Artist Jamie Wardop, Scenic Art with Gary Fry and Sound Design with award winning Sound Designer for National Theatre of Scotland Richard Price. The afternoon begins with lunch at the Royal Conservatoire of Scotland, Renfrew Street building, followed by a Symposium featuring spotlight guest speakers and break out sessions, with talks from Federation of Scottish Theatre, Vanishing Point and University of the West of Scotland. The day will end with a reception at the Royal Conservatoire of Scotland. Delegates can register for the full day (Workshops and Symposium) or the afternoon (Symposium only). Please note the morning session has limited capacity so book ASAP. Find out more about the CPD workshops here. Once you have booked SDTN will contact you to confirm your workshop choices. We look forward to welcoming you to the Symposium on 28 January. For more information and to book your place click here. Join leading international figures and local experts, including John Swinney MSP, as they discuss how interdiscplinary learning (IDL) can help people to solve problems and tackle challenges that are beyond the scope of any single subject. Workshops and poster sessions will stimulate discussion of how to develop IDL in schools, colleges and universities. Join us for this free public talk from Oxford University’s Professor Ian Goldin as he draws on his latest book Age of Discovery: Navigating the Storms of our Second Renaissance to outline the opportunities for society of globalisation but also the risks we face including pandemics, cyberattacks, climate change and financial contagion. 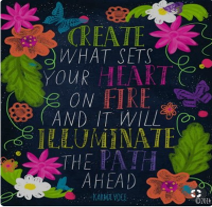 Creativity – what does it mean to you? The Big Question: Do we have a shared understanding of creativity between learners, teachers, senior leaders, parents and employers? What knowledge, skills, attitudes and values will today’s students need to thrive and shape their world? How can instructional systems develop these knowledge, skills, attitudes and values effectively? This position paper describes the first results from this work. South Lanarkshire’s Creative Learning Network embarked on the local authority’s first teacher swop. Taking an open-minded approach, a nursery teacher and a primary teacher worked together to challenge their own teaching styles. Do you have an interesting piece of practice to share? Please get in touch! Did you know…..? The kaleidoscope was invented in1817 by Scottish inventor David Brewster. The OECD Centre for Educational Research and Innovation (CERI) is working on the completion of a rubric to assess skills including creativity and critical thinking which may contribute to the development of a module on creativity for PISA 2021. Creativity and innovation were strong themes at the recent Scottish Learning Festival, featuring in keynotes including those from the Deputy First Minister, Jo Boaler and Jamie Gallagher. 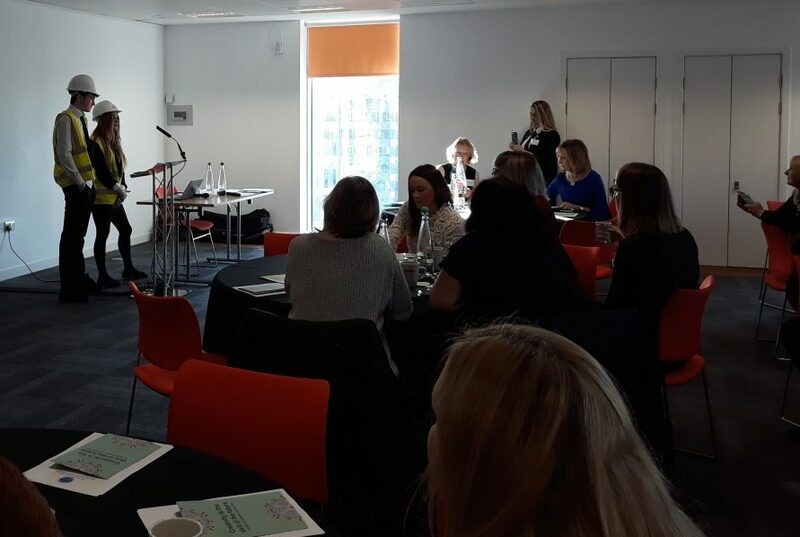 The positive impact of creativity in curriculum design was evident in the seminar presented by St. Albert’s Primary and Castlebrae High School, the winners of this year’s Scottish Education Awards. In her book Mathematical Mindsets, Jo Boaler reminds us that by going into challenging situations where we mess up and fail, we help our brains to grow. Theatre in Schools Scotland is a project managed by National Theatre of Scotland and Imaginate to develop the provision of in-school theatre and dance performances available across Scotland. Our programme for January – May 2019 contains three shows, available for in-school touring, from two of our partner organisations covering N-P2 and P4-7. All are suitable for clear, flat school hall and can be presented twice in one day. As usual, fees are subsidised to keep costs within reach and one-show days are available for smaller schools. Moving school is never easy. When class bully Sharon takes an instant dislike to Martin it feels like he has an especially tough ride ahead of him. That is until he befriends Simon McGurk and his fortunes seem to change. The fickle world of playground politics soon puts pressure on their friendship, however, and Martin finds himself making a choice that will impact them both for the rest of their school days. £365 / £500 + VAT for one or two show days. Maximum capacity 120 per performance. This new show explores the lives of two young girls and their different experiences of school and family life. It questions what is ‘normal’ and why being different is to be celebrated. The show features Emma McCaffrey, a member of the Lung Ha ensemble, who was diagnosed with autism when she was 11, and Gill Robertson, artistic director of Catherine Wheels. Way up in the deep blue night sky, a twinkling star hears a little girl’s birthday wish . . . she wishes she could dance with the stars. Wanting to make this wish come true, the star tells the moon, the moon tells the sun, the sun tells the wind and the rain, and together they dream up a wonderful plan. Told through a magical mix of music, light and imagination, this is a heartfelt and humorous story of what can happen when the universe hears your dreams. £300 / £400 + VAT for one or two show days. Maximum capacity 100 per performance.